Carl Hanselman was his high school team's ace. And as such, was given all the tough games, his coach Gerald Hodgin told The Orlando Sentinel in May 1988. Hanselman responded by throwing five no-hitters over his high school career. Hanselman soon went directly from Merritt Island to the pros. He ultimately played professionally for eight seasons. He made AAA, but he never made the majors. Hanselman's career began that June, taken by the Giants in the fourth round of the draft out of Merritt. Hanselman started with the Giants at rookie Pocatello. In 12 outings, 11 starts, Hanselman went 1-8, with a 8.34 ERA. His season got off to a poor start after a blister formed in his first game and gave up several runs on eight hits in his second, The Sentinel wrote. 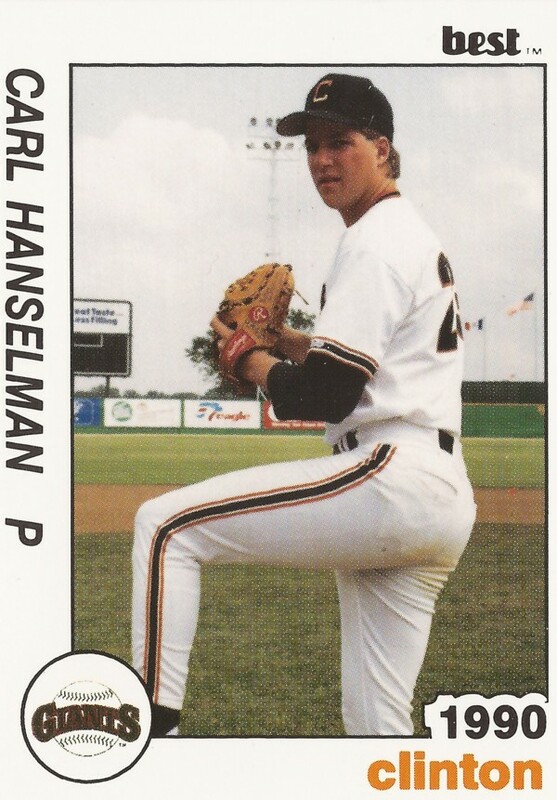 Hanselman started 1989 at single-A Clinton, moving to short-season Everett mid-year. He had a 4.86 ERA on the year and a 3-15 record. He returned to Clinton for 1990, improving his record to 9-10, with a 3.23 mark. His best years record-wise came in 1991 and 1992. He went 13-7 at high-A San Jose in 1991, then 14-9 between San Jose and AA Shreveport in 1992. Hanselman made AAA Phoenix in 1993. In 21 outings, 13 starts, he went 2-6, with a 5.98 ERA. It was his final season in the Giants system. For 1994, Hanselman moved to independent ball and Beaumont. He got 31 outings mostly in relief, iwth a 4.22 ERA. He also returned to affiliated ball for one more season, with the Phillies at AA Reading, ending his career.